The original building was destroyed by fire, and for the past ten years, it’s been rebuilt from the ground up by owner Bill Farmer. 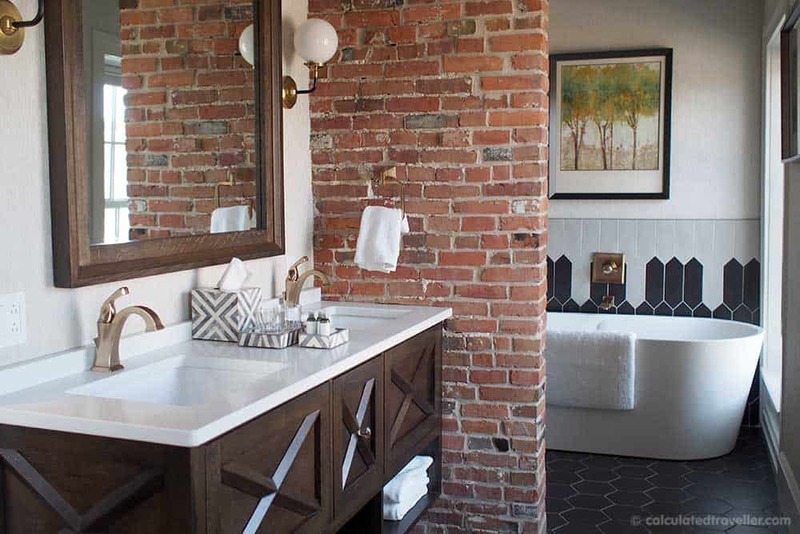 The interior is gorgeous, and Bill has spared no expense in the custom decor and finishings — restoring what he could, replicating as much as possible to stay true to the history of the architecture. The outdoor patio, however, is where you want to be in the evening, with a lovely view of Oatka Creek, various office buildings, the ducks/geese and the little gatehouse that controls the flow of the water. The cool nightly breezes make for quite the relaxing evening. Live music plays on the patio on the weekends and along with an extensive wine selection chosen by their in-house sommelier. 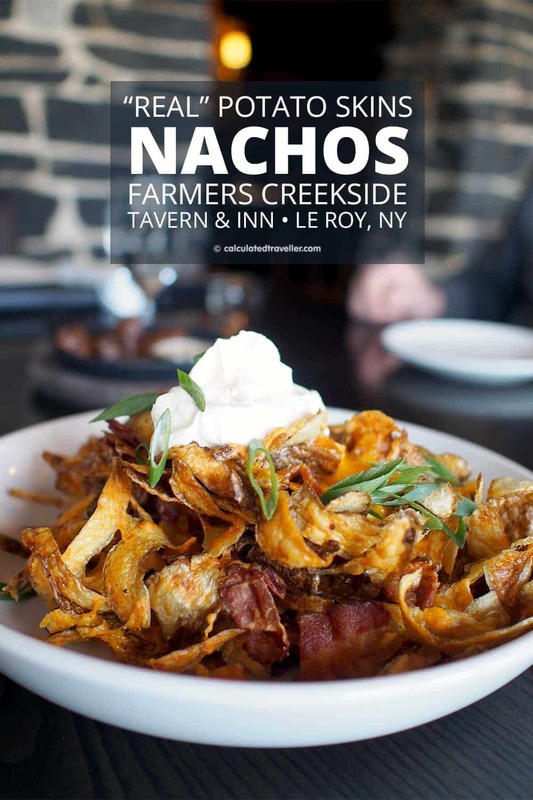 Farmers Creekside also carries between 25-30 local Upstate NY craft beers with 18 on tap as well as a tavern menu and a dinner menu that changes with the season. Originally from Rochester NY Executive Chef Sean Wolf trained in Chicago. 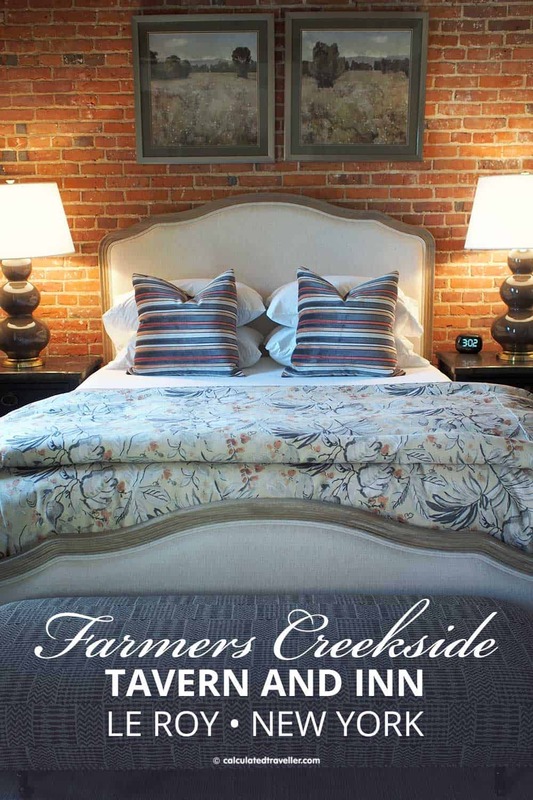 The entire Farmer’s Creekside menu is locally sourced regionally within New York whenever possible. The restaurant has a zero waste program with unique twists such as Pnocchi, a gnocchi shaped pretzel made from leftover handmade bread. 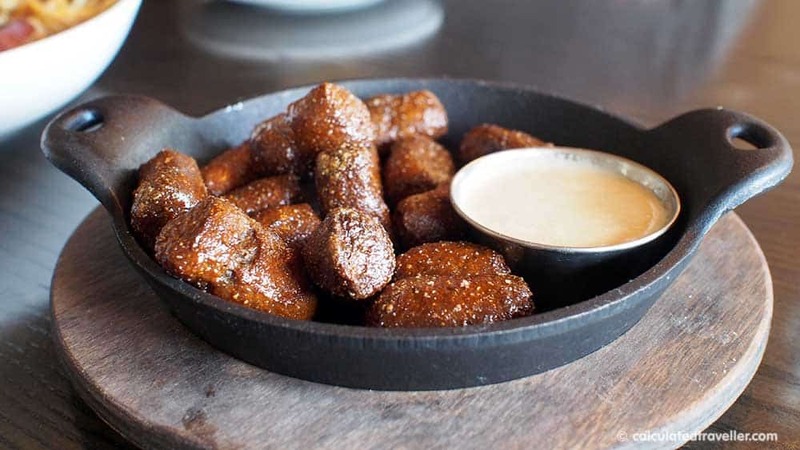 The pretzel gnocchi comes with a beer cheese dip. Potato skins are covered with layers of cheese, bacon, and sour cream and turned into a “nacho’s”. 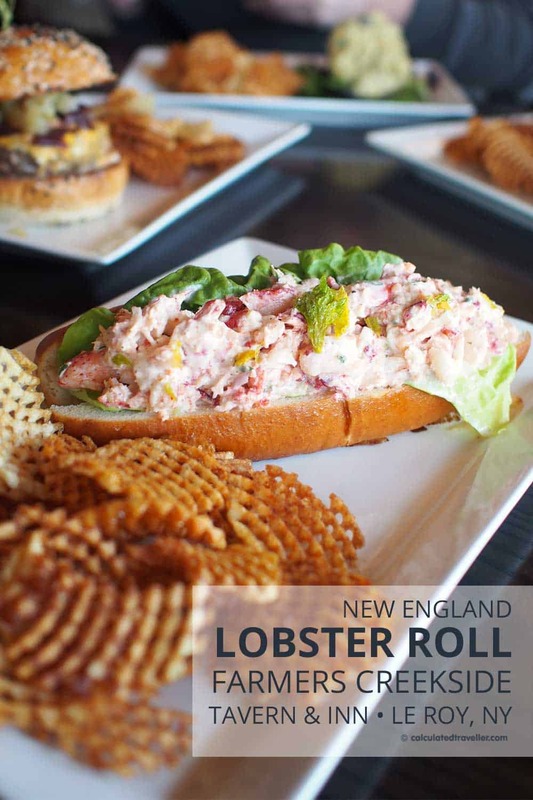 For lunch, we dined on the Pnocchi as mentioned earlier, Potato Skin nachos, Lobster Roll, and Beef on Weck — delicious, with tender beef on a salty kummelweck buttery grilled bun. 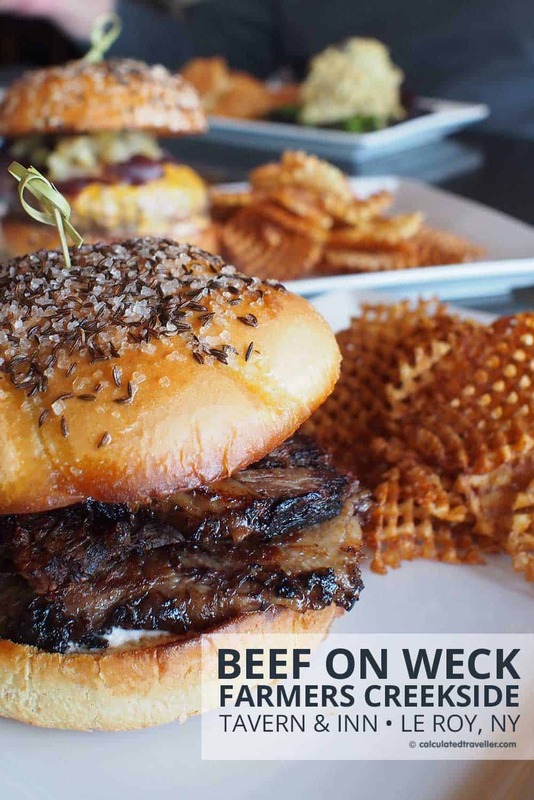 Beef on Weck is a typical menu offering in this part of New York State, and I highly recommend you give this sandwich a try at least once in your life. 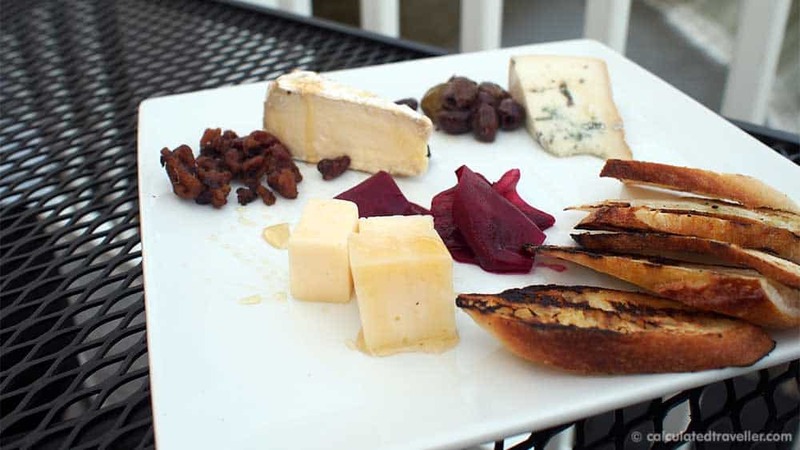 For dinner, we dined on the local cheese plate featuring camembert from Old Chatham, baby gouda from Unica, blue cheese from Ithaca with toast points, olives, candied walnuts and roasted beets — delicious. 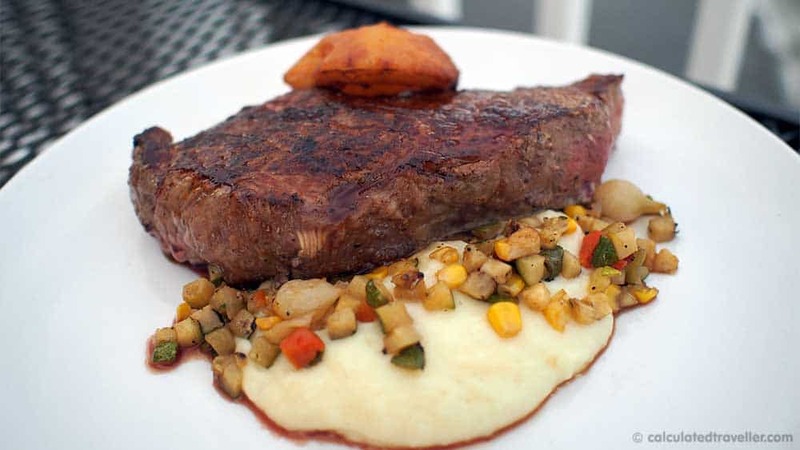 – the steak, cooked perfectly, was massive at 10 oz and the potato puree was smooth and silky, but the vegetables were a big disappointment in my opinion. 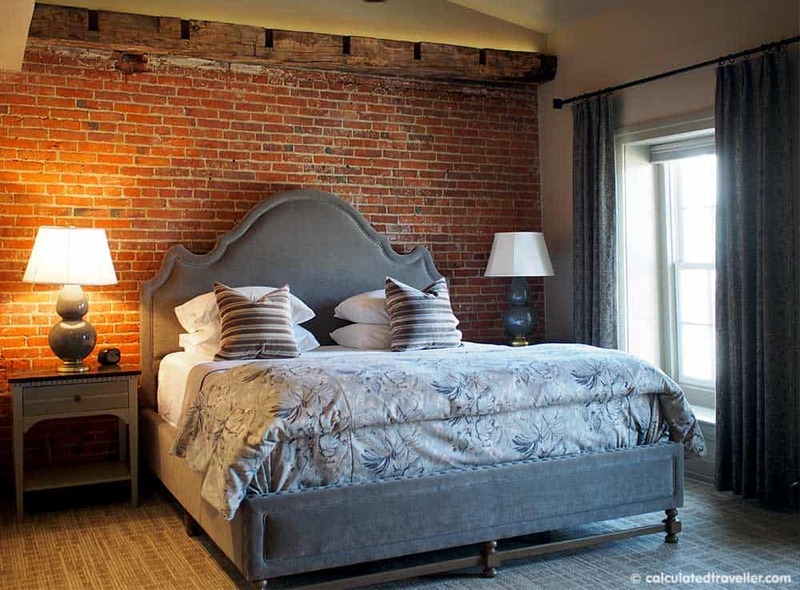 There are three guest rooms upstairs all with access to a private deck with views of the Oatka Creek. 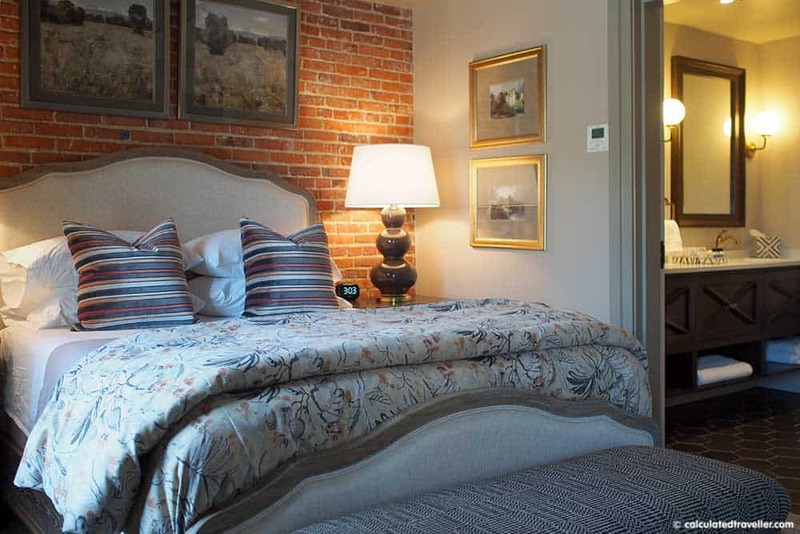 — beautifully decorated and appointed with comfortable furnishings and high-end linens. Complimentary continental breakfast of yoghurt, granola, pastries, fruit, juice, coffee and tea served in the morning at 9:00 am in the hallway for dining outside on the patio or in the comfort of your room. I had a very comfortable stay, however, keep in mind, you are staying on the top floor of a tavern so the music and noise from the outdoor patio can go late in the evening. Also, at times there was noise heard from the dining room such as the moving of tables and banging of chairs. I had the chance to tour a few of the other rooms; to follow are a few photos of the other suites. A few oddities to point out. I found my room had an odour in the afternoon and it smelled musty like wet wood. At first, I thought the scent was coming from the exhaust of the kitchen next to the patio outside my room. But when we were sitting outside on the terrace, there was very little odour there. I really couldn’t figure it out! I think it may have been the heat of the sun shining on the wood in the room or perhaps on the canvas headboard, but the smell did go away once the sun went down. No staff on site after the restaurant closes. We were provided with a phone number to contact in case we needed anything. If you wish to check out before 9 am there is no one at the front desk as the restaurant isn’t open yet. You simply leave your keycard behind in the room. The main door to the units locks automatically behind you. 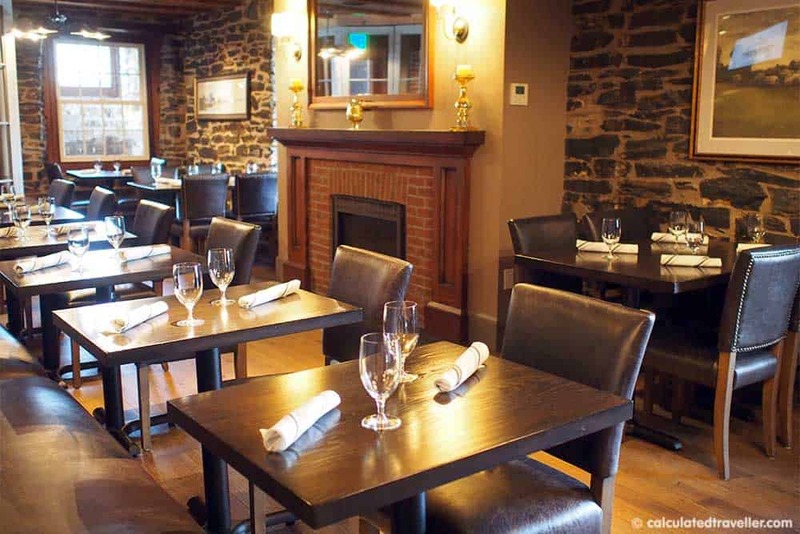 The inn operates separately from the tavern. As a result, if you’d like ice, you need to bring your ice bucket from the room down to the hostess station to get it filled. The same thing goes for coffee or tea; there is no coffee station available to you. You need to go down to the restaurant order/pay for your beverage and bring it back upstairs with you. 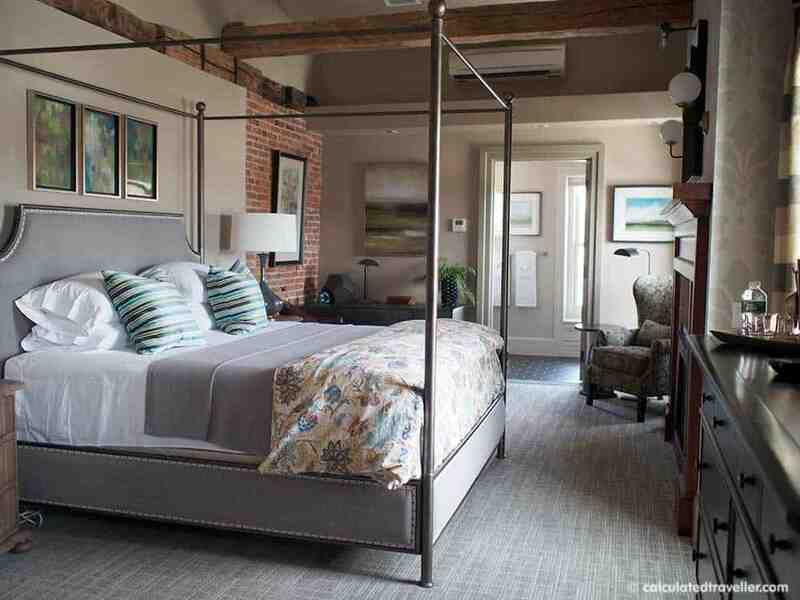 There are no other accommodations on the Main Street of LeRoy especially to the comfort and elegance such as this. What Else is there to do in Le Roy New York? 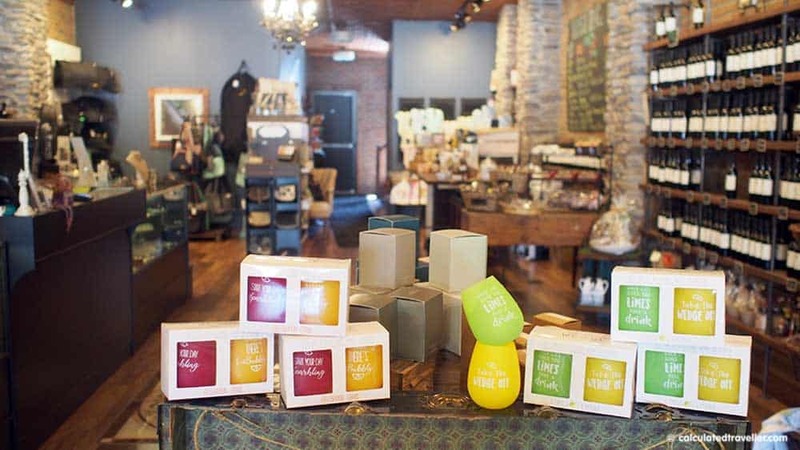 With an assortment of olive oils, sauces, dips, giftware, fashion, and jewellery, The Divine Tree is located next to Farmers Creekside. We had a blast as we painted our very own masterpiece and memento of our visit to the city at the Art of Mandy. 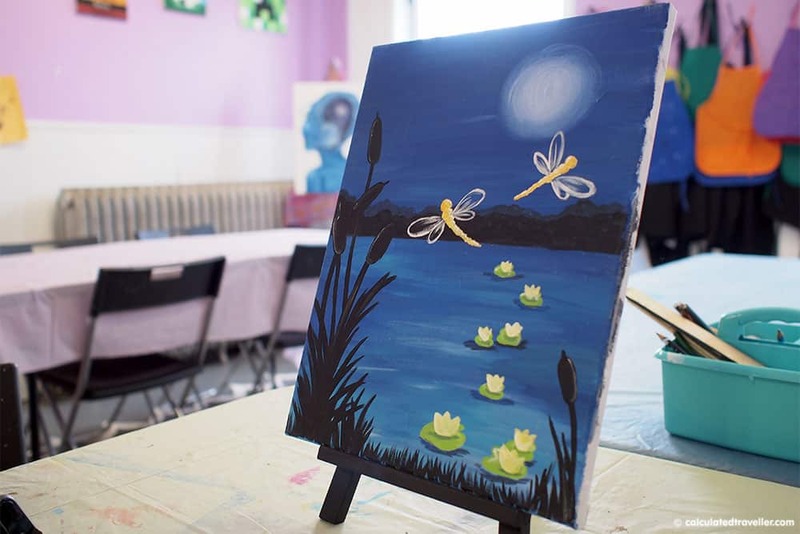 Mandy, an art graduate and teacher, guides students both young and old in using acrylic paint on canvas in her studio across the street from the inn. 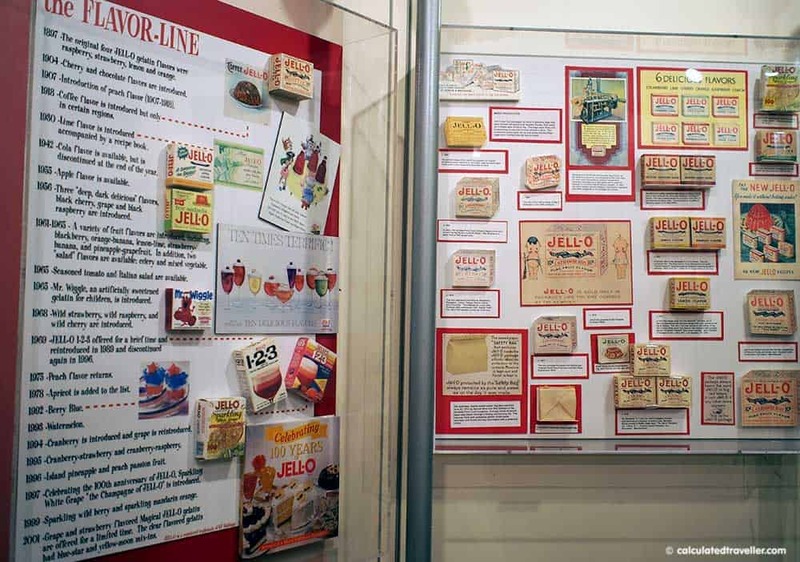 Eaten by children around the world Jello is was invented and produced by the Genesee Pure Food Co. in Le Roy New York, so it’s fitting that there is a Jello Museum devoted to this jiggly dessert in town. It’s not overly large but worthy of a visit for the quirkiness of it all. 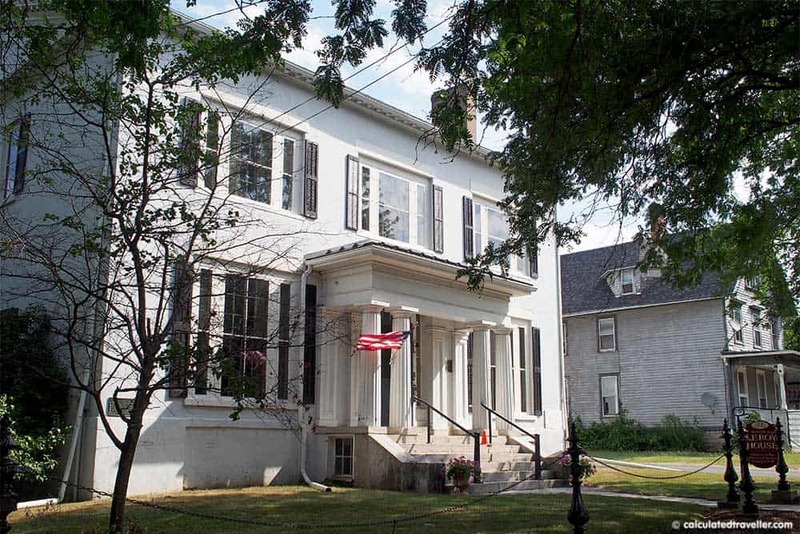 While you are here, make sure you tour the Le Roy House Museum on the same property to learn more about the area. For small-town charm, good eats and local flavour in Le Roy the place to go for a meal is D&R Depot Restaurant. 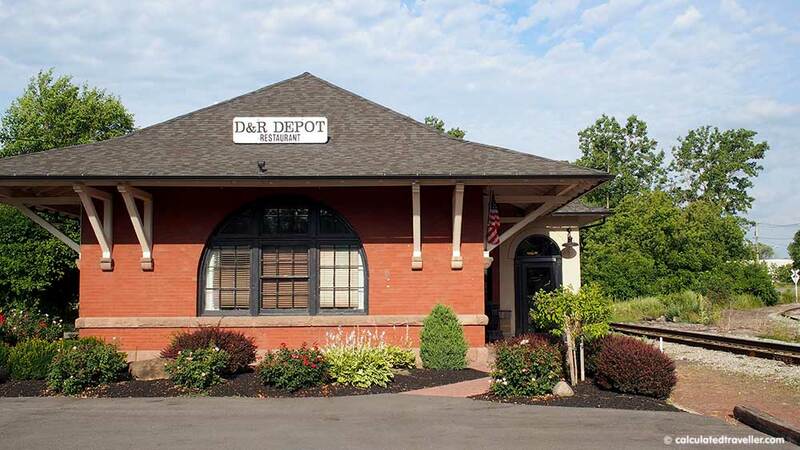 Located in a railroad depot, we had a lovely, very filling, very affordable, made from scratch breakfast. We enjoyed an excellent meal with great service. Make sure you save room for grilled cinnamon rolls – I could write an entire review about these yummy fresh made daily pastries! Travel Assistance provided by Visit Genessee NY and Farmers Creekside Tavern & Inn all opinions are entirely my own.